Lovely 50sqm apartment in the heart of the historic center of Monopoli. It is completely new, just renovated and well finished, with many of touches of class. It is located a few steps from the sea at 30sqm. On the ground floor so is particularly suitable for elderly people, the disabled (also with wheelchairs), and there are specific features in the building that help people with motor disabilities. Enjoy the surrounding area in absolute tranquility, without needing to use the car. There are free parking spaces both near the castle of Charles V and near the port. The house is ideal for a holiday of relaxation, the sea and why perhaps even the healthy nightlife. In the historic center there are many typical trattorias, open-air bars and nightclubs within walking distance from the house, while, at the Capitolo coast, discos and pubs for young people. Distance from the sea: 30 meters from the sea. Neighboring sites of tourist-cultural interest: Valle d'Itria, with Ostuni the White City (44 km), Cisternino (26 km) and Martina Franca (33 km), Zoo Safari of Fasano (19 km), Polignano a Mare (7 km), excavations of Torre Egnazia (16Km), Grotte di Castellana (15km), Alberobello (23km) with its characteristic Trulli. Highway A / 14 - BARI exit - NORTH to Brindisi - Lecce. 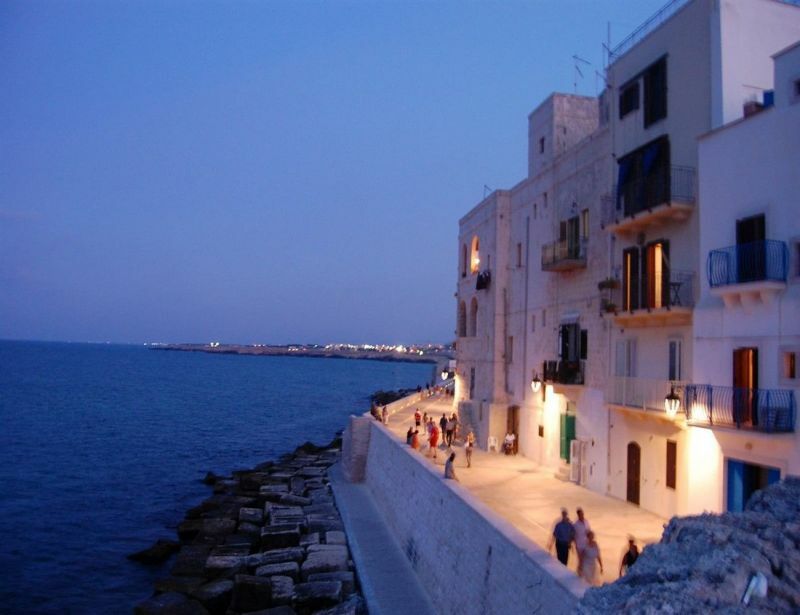 About 45 km from Bari airport and about 70 km from Brindisi airport, connected to Monopoli by the main S.S. 16. The apartment is located near the Charles V Castle in the historic center. The following prices include water and gas. Electricity according to use: 0.30 / kwh euro, if use is standard, you do not pay. 30% advance requested on booking.